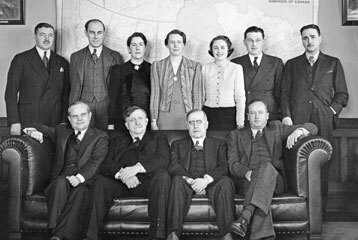 Begun in 1937 by the federal government to re-examine the distribution of federal provincial powers and responsibilities in relation to social and economic changes over the previous 70 years, the Rowell–Sirois Commission heard briefs from concerned individuals, organizations, institutions and governments. In 1940, it submitted a three-volume report recommending that the federal government assume more taxation powers, especially personal and corporate taxes and inheritance taxes, and the responsibility for social concerns such as providing unemployment insurance and contributory pensions. It also recommended a system of national adjustment grants to allow poorer provinces to maintain national standards for the delivery of social services such as education and health care. 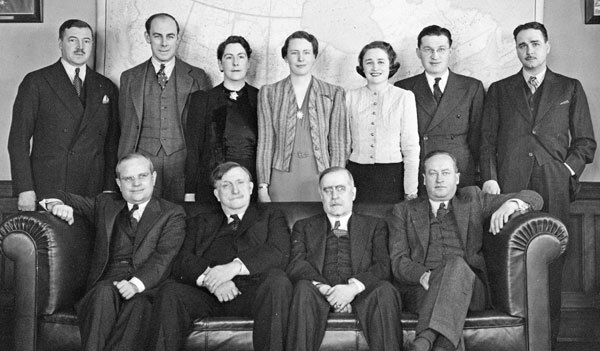 Although many of the commission’s recommendations could not be adopted due to the existing constitutional divisions of the responsibility to deliver services and the power to tax, they demonstrated that Canadians were in favour of state-supported social welfare measures and willing to re-examine the division of powers and responsibilities in the Canadian constitution.